Seth Rogen admits he didn’t know much about Alzheimer’s disease until he met his wife Lauren. Both her parents had been diagnosed with the disease. 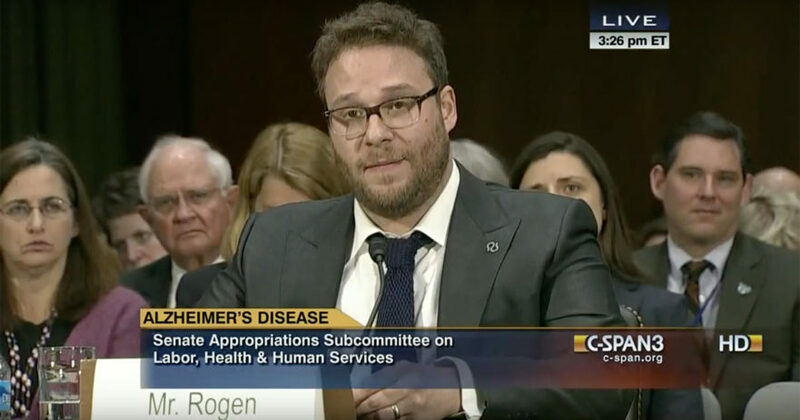 After joking with Congress in his opening, surprised that they hadn’t seen Knocked Up, Rogen turns serious and begins speaking candidly about what he has learned about Alzheimer’s. He talks about the shame and stigma associated with the disease, a stigma he compares to that of cancer before he was born, when people were often afraid to tell their friends and family of their cancer diagnosis. That stigma with cancer has changed and now it’s slowly starting to change with Alzheimer’s. 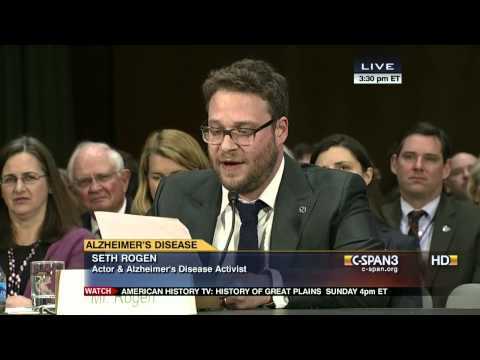 Rogen and his wife have started Hilarity for Charity, an Alzheimer’s education program to spread awareness. He’s hoping lawmakers will also take his lead in spreading awareness of the disease.